Oil is the lifeblood of your engine. So changing your vehicle's oil according to the manufacturer's recommendation will help to protect vital engine parts and maximize engine performance. 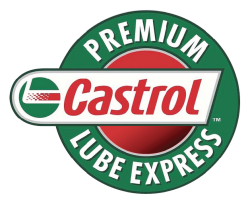 We are proud to offer our customers Castrol Oil. Castrol offers a range of advanced motor oil for your vehicle, including synthetic, synthetic blend, high mileage, conventional and diesel oils. With more than 100 years of expertise and an international reputation for innovation and high performance engine oils, Castrol is recognized as the world's leading provider of lubricant solutions.Every oil Change service includes Our Signature 34 Point Safety Inspection to ensure the safety and performance of your vehicle. The modern world creates difficult challenges for engines. Poor fuel quality, heat, and tough driving conditions can all lead to sludge that potentially shortens engine life. Sludge is a sticky deposit that builds up in an engine’s oilways, and it can prevent the oil from protecting the engine. Castrol GTX ULTRACLEAN—with its proprietary sludge buster—is our cleanest GTX ever. Its unique Double Action formula cleans away old sludge* and protects against new sludge formation, giving you more control over today’s challenging conditions. Conventional oils may not do enough to protect high-mileage vehicles. 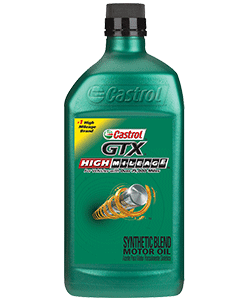 As the miles add up, Castrol GTX High Mileage helps extend engine life by addressing the key problems that may impact your vehicle. As an engine gets older, gaskets become brittle, seals deteriorate and oil burns faster. Castrol GTX High Mileage with Trishield Technology helps extend engine life by providing superior protection against sludge build up. 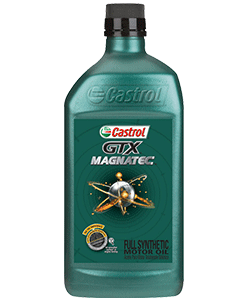 The intelligent molecules in Castrol GTX MAGNATEC are what set it apart from other engine oils. These specialized molecular components cling to the engine throughout all driving conditions, even when the engine is off. 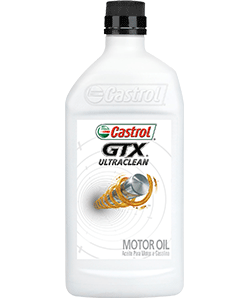 When the engine stops, oil drains back to the sump, but the intelligent molecules in Castrol GTX MAGNATEC don’t. They cling to critical engine parts like a magnet, providing an extra layer of protection from the start and throughout warm-up. Engine oils need to be able to constantly respond to the ever-changing environments in your engine. Every second of the drive your engine oil needs to be able to react to the needs of different metal-to-metal contact points in your engine each with different demands, pressures and temperatures. Castrol EDGE provides the highest level of protection for critical engine parts helping your car to perform at its maximum. 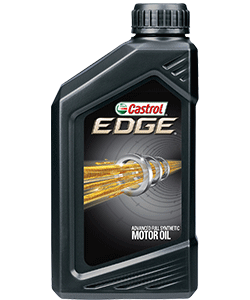 A new oil technology from Castrol, Fluid Titanium Technology, doubles the strength of Castrol EDGE. * It’s now three times stronger against viscosity breakdown than conventional oil (Mobil 1 EP). ** The unique titanium technology physically changes the way oil behaves under extreme pressures. 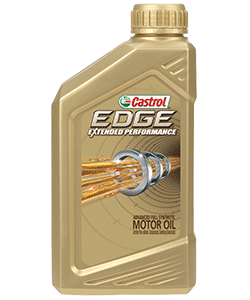 In industry standard tests, Castrol EDGE with Fluid Titanium has doubled its film strength, preventing oil from breaking down and reducing friction to maximize engine performance.